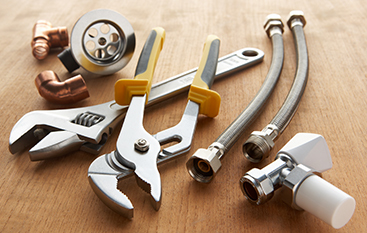 Get reliable emergency repairs at Vegas Valley Plumbing. Serving Las Vegas and surrounding communities. SOMETIMES, YOUR PLUMBING REPAIRS SIMPLY CAN'T WAIT. When you find yourself in the middle of a plumbing emergency, you want a plumbing team you can trust to arrive promptly and to get the job done as soon as possible. Vegas Valley Plumbing can be that team. If you have an emergency plumbing issue on your hands, simply give our office a call. From there, we’ll provide you with more information on costs and specifics of our emergency services. Contact our 24-hour plumbers today. Unfortunately, plumbing emergencies never happen at a convenient time. If you find yourself with a serious plumbing issue at any time in the day or night, our team of emergency plumbers in Las Vegas can tackle the job — without compromising our quality of work or customer service. At Vegas Valley Plumbing, we offer emergency plumbing services that are efficient, reliable and effective. We are known in the Las Vegas area for getting the job done right the first time around, and we do so in a quick manner that gets your plumbing system running normally again in no time. When you have an emergency plumbing issue, we highly advise that you don’t tackle it yourself and to let a professional help. This way, you ensure the problem doesn’t get any worse, which can ultimately cost you more than if you were to call a trained plumber in the first place. Our on-call, 24-hour team of plumbers are always available when you need them most. Contact us today for any of your plumbing emergencies. 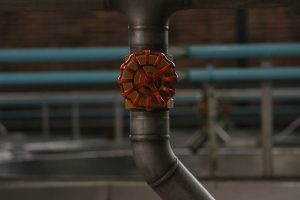 There are many plumbing issues that require the help of a professional plumber, but some issues can wait until the morning whereas others should be immediately addressed. Here are some common signs that you need emergency plumbing services and that you should call your local, trusted 24-hour plumber right away. Your house is being flooded by your toilet, water heater, etc. Your water bill is unusually higher than normal. You have visible water spots on your ceiling or walls. You have an annoyingly leaky faucet. Your toilet is clogged or overflowing. The water running from your faucets isn’t clear. You can hear water going through your pipes, even when you aren’t using anything that requires water. Your water isn’t warming up as it should. Whatever the issue may be, our experienced plumbers will run diagnostics tests to find the source of the problem, then we’ll relay to you what needs to be done in order to properly repair your plumbing system. 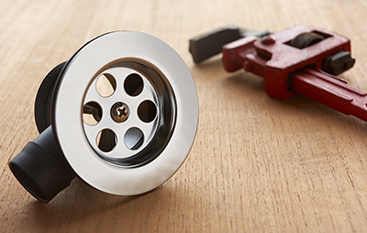 When you’re caught in a plumbing emergency, don’t stress out. There are several things you can do while you wait for our emergency plumber to arrive at your door. First things first — get to your home’s main water valve and shut it off. This will help prevent any further damages from occurring until your plumber arrives. If your plumbing emergency involves leakage, address any small leaks immediately. You can use duct tape or plumber’s tape to tighten any loose pipes, or you can put a bucket or cloth underneath the leak to collect water. It can be easy to get overwhelmed when you’re in the midst of a plumbing emergency. Take a few deep breaths, stay calm and think as logically as possible when handling your emergency situation. Learn about a few more of our emergency plumbing tips here. 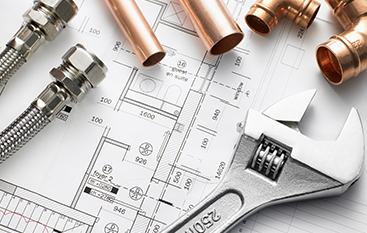 We are proud to offer high-quality emergency plumbing services at a fair price. We work well under pressure, and we’re sure our team will provide you with great work while remaining friendly and professional. There’s a reason we’re a Top Rated Local® plumbing company — we always put our customers’ best interests first. Call us today at (702) 551-3286 for any of your plumbing needs. You can also check out our other Las Vegas plumbing services here.